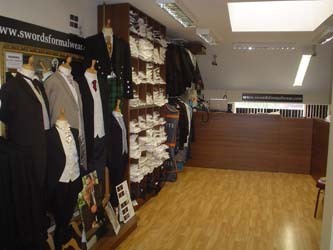 Swords Formal Wear is owned and run by Barry Agar. Barry began with his father Tom Agar in the tailoring business. Established in 1948, T.J. Agar Ltd. opened at No. 8 Trinity Street in Dublin City Centre. 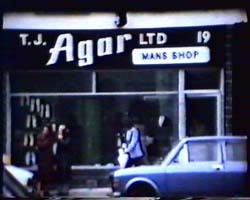 T.J. Agar Ltd. developed a huge reputation for the quality of its tailoring in men's formal and informal wear. The motto 'Art in Tailoring' was known and appreciated the length and breadth of the country. In the early 1960s, the business moved just around the corner to a larger premises in Suffolk Street. In 1976, the business moved premises again; this time to Dorset Street in the north city centre. Here, Barry took control of the running of the business, continuing the tradition of quality tailoring established by his father, Tom. 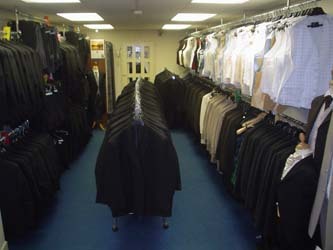 Eventually, the business moved to Swords in 1983 where it now specialises exclusively in wedding and formal wear for men. Over the past 25 years, Swords Formal Wear has built a reputation second to none for quality merchandise and top class service. All our weddings are prepared and checked on the premises and every aspect is overseen personally by manager/owner Barry. We boast a huge selection in wedding styles, tuxedo and highland wear and stock an extensive range of waistcoats and neckwear to complement or match almost any colour.